Why build a automatic solar tracker project? Solar Trackers are devices which will automatically orient in the direction of high intensity sunlight to effectively harness maximum solar power. If you are interested in learning renewable energy systems technology, then this automatic solar tracker project is your gateway into it. Have fun building your very own automatic solar tracker. In this course you will develop a automatic solar tracker system that can orient itself in the direction where maximum intensity of sunlight can be captured. You will be using an Arduino development board as a processing unit. Do: How does the Solar Panel work? Review: How does the Solar Panel work? Module 3: How to detect light intensity? How can you build this automatic solar tracker project? 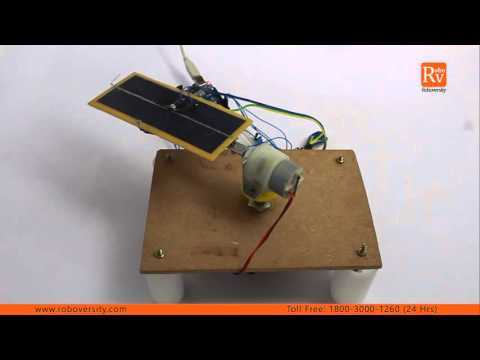 How to build a automatic solar tracker project? Login to our online learning portal will be provided instantly upon enrollment. The portal will have video lectures, tutorials, and quizzes required to build the automatic solar tracker project. Kits are well tested and shipped to your doorstep in 24 Hours. 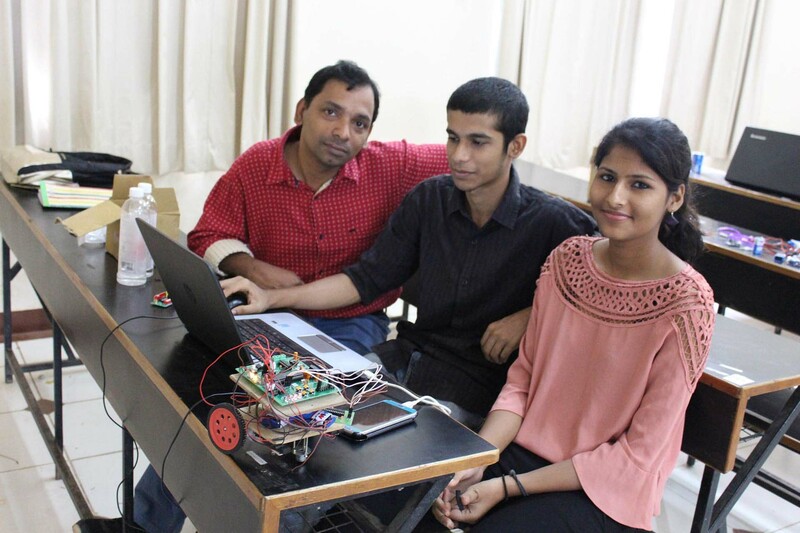 Use the kit along with the online portal to complete the project at your home itself. How much time do I have to complete the automatic solar tracker project? What will be in the automatic solar tracker project kit that I will receive? 10 RPM DC Motors - 2 Nos. 10k Resistors - 2 Nos.